Wato wato one and all. I trust all is tickety boo with you and yours, back to the making part of the journey, my favourite. Who thinks the business and marketing side is favourite for them? I need to party with you if you are that person 🙂 For the rest of us, lets talk tools. I had a question regarding the set up I use for annealing. The first picture shows my trusty Sievert set up. This is a very old set I purchased second hand on Ebay. Beware if you do similarly, this one leaked like a basket. On closer inspection the handle cracked and I had to modify/make new parts to make it gas tight. As far as I’m aware, Sievert no longer make this kit. However if you wish to have a set up like it for a fraction of the price, Machine Mart in the U/K have a comparable system, not Seivert, that looks very interesting and equally, if not more versatile than mine. The first picture highlights the three nozzles I use most. The smallest one (part number 3937) is great for small work, think jump rings and the like. For general soldering and annealing of larger jewellery pieces, cuffs, large wire bangles ect, the one in the middle laying on the handle is great (part number 3941). For annealing vessels, quite large ones at that, in a shielded (firebrick) enclosure I have annealed a ten inch sheet with the nozzle shown attached to the handle in the first picture (part number 2943). The third and fourth picture show the smallest, with the needed small neck, and the largest in the kit. The largest nozzle I have (part number 3944) is shown lit on a very low setting. I show it here for you to see a soft flame is possible with this massive nozzle. I like that the flame given off is huge, it sounds just like a jet engine in the workshop, roaring away and bathing a very large surface area in a moderate to high heat. I find this creates an enveloping environment that is less likely to produce hot spots that more fierce and directed flames used by some twin pack set ups, like Oxy Acetylene for example. MAPP gas is hugely expensive. For large sheets I shudder to think of the cost. To my mind its overkill as the temperatures these systems are capable of are never needed if you stick to silver, copper and the like. The twin pack gasses are really best suited to precious metals where very much higher temperatures are required to anneal and solder. I appreciate this is my opinion derived through my experience. Please do comment if you have anything to add. I use common garden Propane. The second picture shows my additional step down regulator. If you choose to have a, do everything set up, like mine, best you invest in one of these. Great for toning down when using the smaller nozzles with a simple tap, as you can see. I can’t speak for countries other than the U/K. The Propane I use comes in a red bottle of various sizes. Its very reasonably priced, if you do a lot of annealing then you have the option of a 47KG bottle that will last along time. I have the smallest bottle in the workshop, and a couple of larger ones for annealing larger work under my carport, I have another handle and hose, just needing to swap the nozzles, you can see the spanner in the 3rd picture. I understand that Butane is calorifically higher, hotter, more bang for your buck. I have not felt the need to try it, besides I would need to purchase a new regulator if I did. If you must mix. Sievert, and other handles are available that will allow you to add air if you wish. This will make a very much hotter flame, I guess you could hook it up to a compressor if you wished to keep cost to a minimum. If anyone uses such a set up, I, we indeed, would be very interested to learn of your experiences with it. Butane is sold in blue containers with similar sizes, though I don’t think you can get the giant 47KG ones as you can with Propane. Again I am ready to stand corrected should anyone enlighten. I have been asked to make a necklace with forged to undulating round/ovalish shapes. The rub is, the chap wants it to be really weighty and asked for 5mm wire to start!!! I managed to talk him out of 6mm which was what he contemplated. These links are to be forged once turned into rings, soldered and shaped. 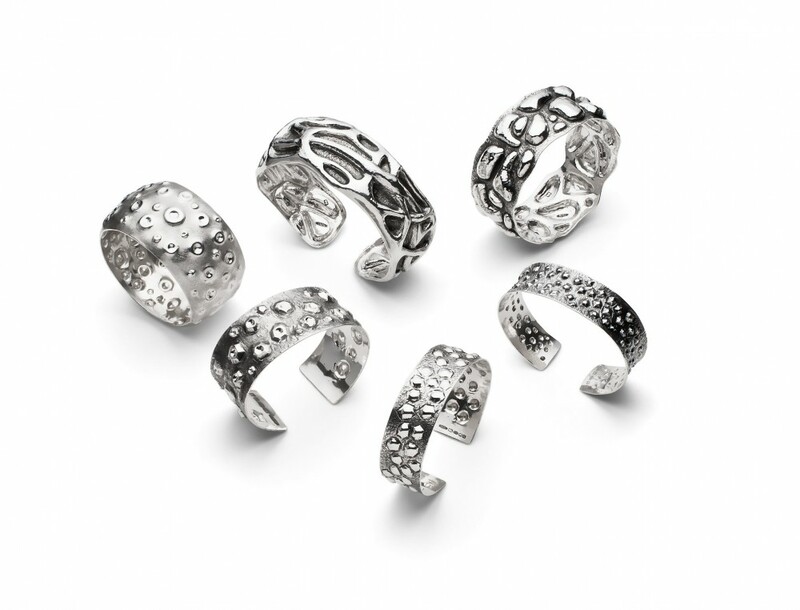 Have you tried to make small rings with 5mm sterling silver wire! Man alive, it is tough to work into bends that small, getting the ends to meet for soldering is also a nightmare as it is soooo hard. The other conspiring difficulty is, the 83mm lengths to start with are a bugger to hold whilst you try to form them around a mandrel. The vibration is enough to rattle a chaps fillings, also keeping it still, trying not to hammer fingers, preventing it taking an aerial journey across the workshop was also challenging. After fighting with the first one, bruised fingers and all, I decided to try something else, I share it with you here in the hope you may find the following tips helpful as they can be used on all sizes of wire if you wish. I bent each end approximately 45 degrees and then put them in the contraption you see in picture 4. I only thought to photograph it afterwards, so the link you see is complete. 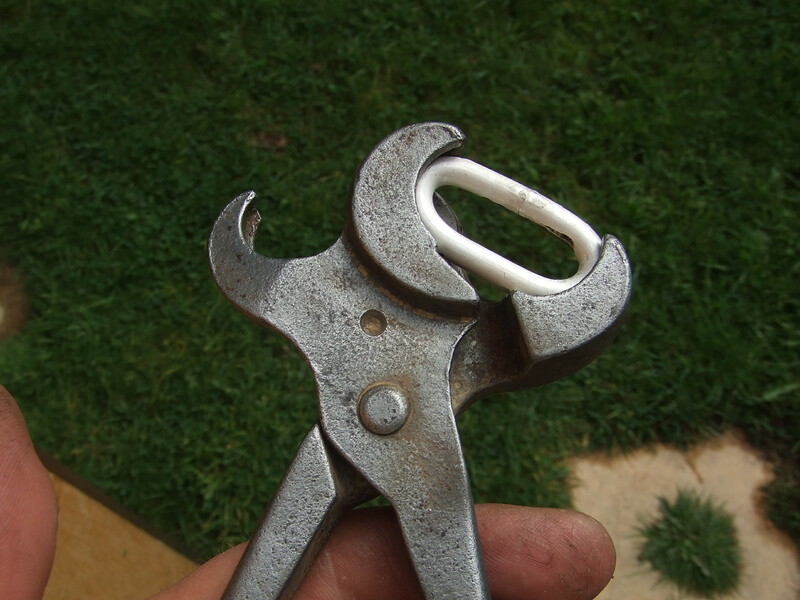 These ‘pliers’ were purchased on Ebay a while ago after I came across them in one of my second hand tool hunts. They are old pig ringing pliers. Used to attach nose rings into pigs. As you see, you have the option of two sizes. I was not strong enough to form them with my hands, resting one handle on a rubber block and tapping the other closed with a leather mallet. Fantastic and painless result, as shown. 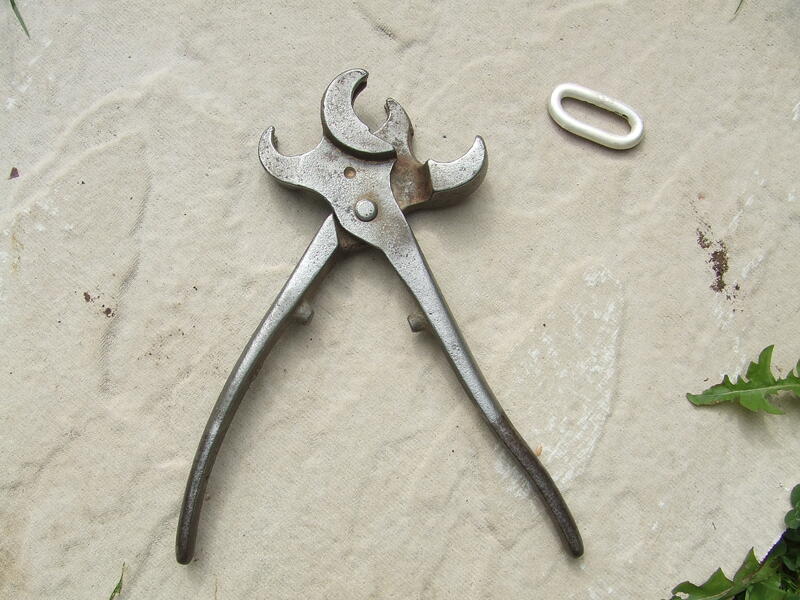 Ring forming pliers are nothing new, look on any jewellery supply site. However these are quite a bit larger than the ‘proper’ jobs. Also, who wants pig pliers, cost conscious farmers thats who. Not ‘oh its for working precious metal therefore its and arm and a leg please’ of the tool suppliers. Look up a set for yourself. These are aluminium, thats a bonus as they will be far less likely to mark your material, a danger with steel ones. Also, should you so wish, you could mirror polish them and use them for making production runs of perfect, unmarked larger jump rings ready for soldering. Soldering is where the next challenge presented. The spring in heavy gauge wire is considerable. After getting the ends as close as possible it was still a gnats doo dah too large for soldering. Anneal the link to give some softness after getting it almost to meet then onto the next beauty I managed to think of. I tried to use binding wire. No way could I get enough tension, after trying I was also worried that if I could, this would bite into the link, scarring the silver. When people know you make things, the best of intentions come out, though sometimes misguided. My mum found these e.p.n.s. sugar tongs at a boot sale. ‘thought of you Stuie, any good to you’? You don’t like to say no when the thought was so nice and well intended do you. Off they popped into my dead, damaged and what the hell is this for, tool graveyard. As you see in the final two pictures; brilliant for this job, the spoon end ‘cups’ of the tongs cradle the link and stop it skidding about. 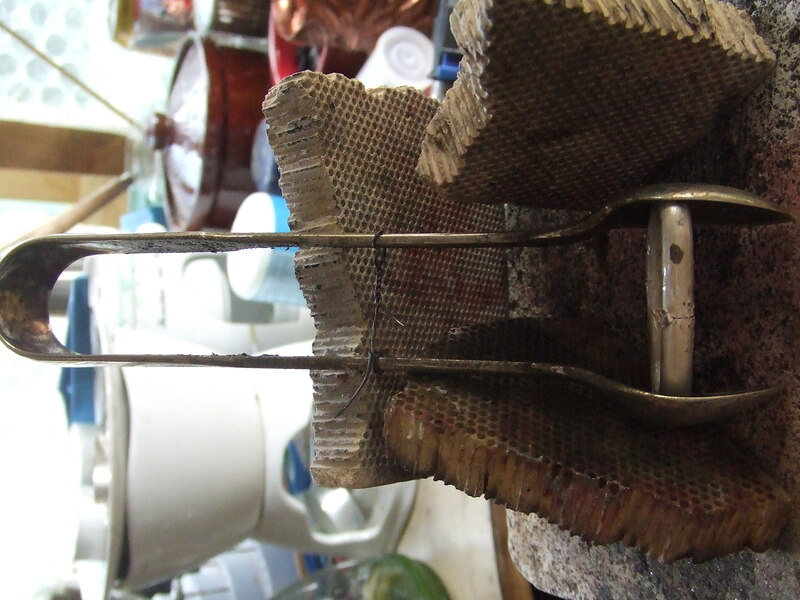 Wrapping binding wire around the handles, exploiting the natural spring in the tongs gave just the right amount of pressure required to close the gap, whilst giving the smallest of footprint to prevent too much heat loss through the heat sinking effect of having another metal object in contact. Also as the tongs are very much thinner than the link, this really helped to get the heat where it was needed. I hope you come away from this post refreshed from the horrid last couple of navel gazing business oriented ones. If you get something from this post, please do let me know. I will share other tools I have made or modified in future posts. Until then, as always thank you very much for sharing the journey. 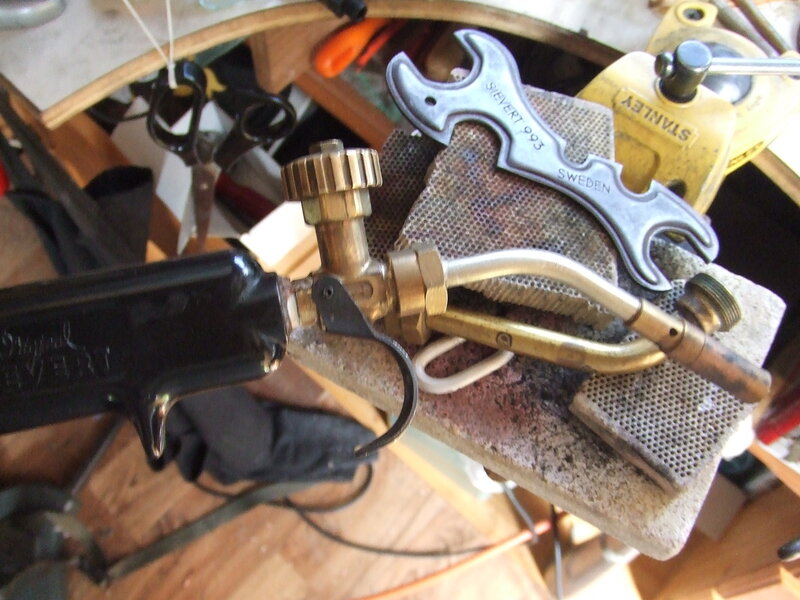 This entry was posted in Uncategorized and tagged annealing, butane, copper, forging, gas, hammer, jump rings, necklace, pliers, propane, ring, soldering, sterling silver by stuiesilversmith. Bookmark the permalink. Very informative post, Stu. I don’t know this particular brand of torch, but your set up must be quite efficient for annealing large objects like the beautiful vessels that you make. Love that firebrick enclosure. 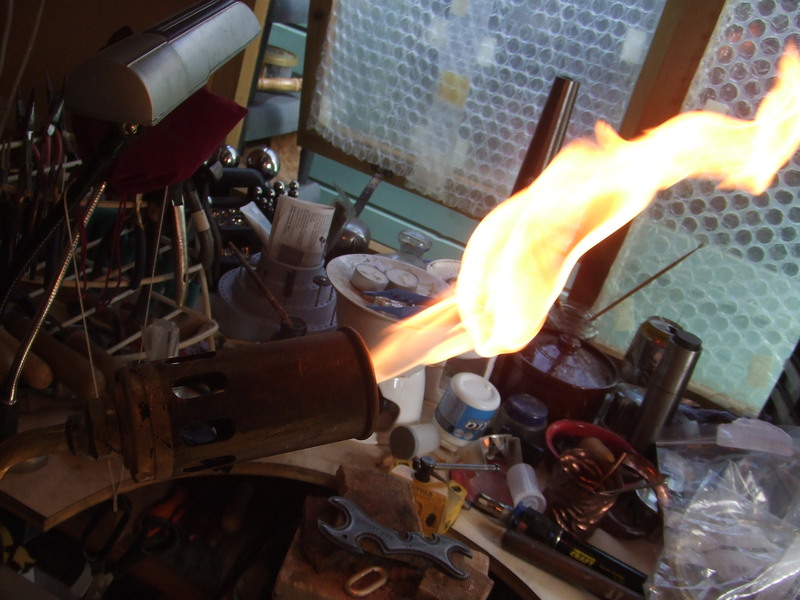 I use oxy-propane in my studio, but I have worked with air-acetylene in the past; I was teaching jewellery classes and needed a tough, user-friendly, all-purpose torch, and it was perfect for that. I am partial to oxy-propane though and prefer propane to acetylene. 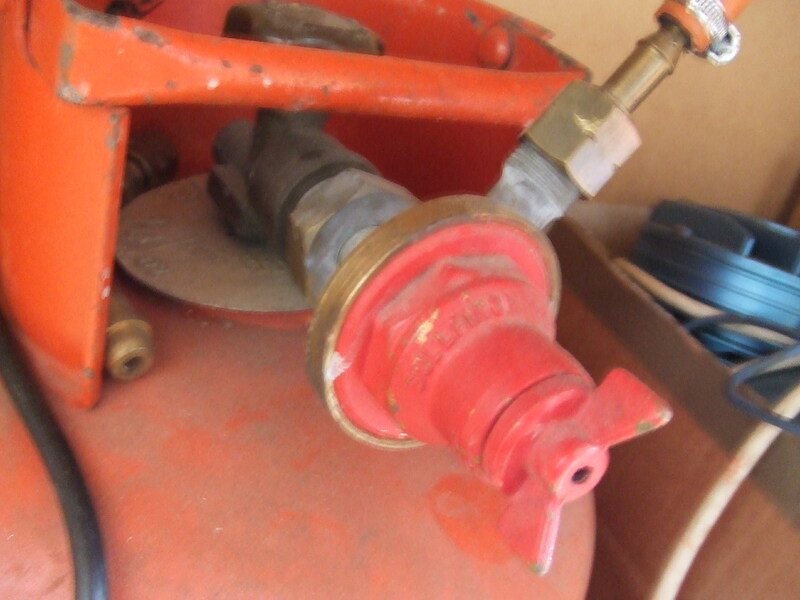 Acetylene can be much too hot, and is definitely more “sooty” than propane. And you’re right, propane is quite reasonably priced. As far as I know, here in Canada, butane comes only in small cylinders, and isn’t that cheap. Yes, it is lovely to see you back at your bench and obviously quite happy. And, my, do you have a way with tools! Pig ringing pliers, only you could have thought of that. Brilliant. And I laughed out loud reading about how you were forming the links for that heavy necklace… Thanks! Hey hey, fantastic to get your message, hope alls tickety boo with you and yours and the creative/making juices are free flowing. Thank you for saying, yes its great to be working at the bench. A new commission and perhaps some good news, for me, to come regarding a new gallery. Fair to say it’s a very prestigious one in these parts. As usual, I will give all the details as and when things are more concrete. Also the accessories are many and, again quite a big investment here. The soot you talk of is a bit of a drawback. Did you know that the temperature that soot burns off is a pretty near perfect indicator for annealing aluminium. Play the acetylene only flame over a suitably prepared piece of aluminium. You will notice all the soot sticks to it. Now introduce the oxygen to bring the torch to annealing temperature. As you heat the piece, once the soot burns off, you have annealed the piece. No need for darkened rooms and nervous twitching. As you know, aluminium will reduce itself to a blob of molten mess in the blink of an eye. This is a great safeguard. If you already knew, forgive the repeat. What made me think about propane as a better, more cost effective (here) option was in part looking at flat roofers using torches, such as I use to heat large areas to facilitate the better bonding of asphalt. Looking at the flames produced it was a thought that I could engulf most of a large piece with a relatively soft flame. This, I have found to be the case. The beauty here is the nozzle is tailored to each piece, aiming to cover all, or as much as is possible of the piece in a flame. This, again I have found, reduces hot spots, both through the size of flame, also the fact that the flame is nowhere near as, potentially anyway, hot. A big drawback of propane is the water vapour it gives off. As with all systems needing a naked flame, good ventilation is a must. 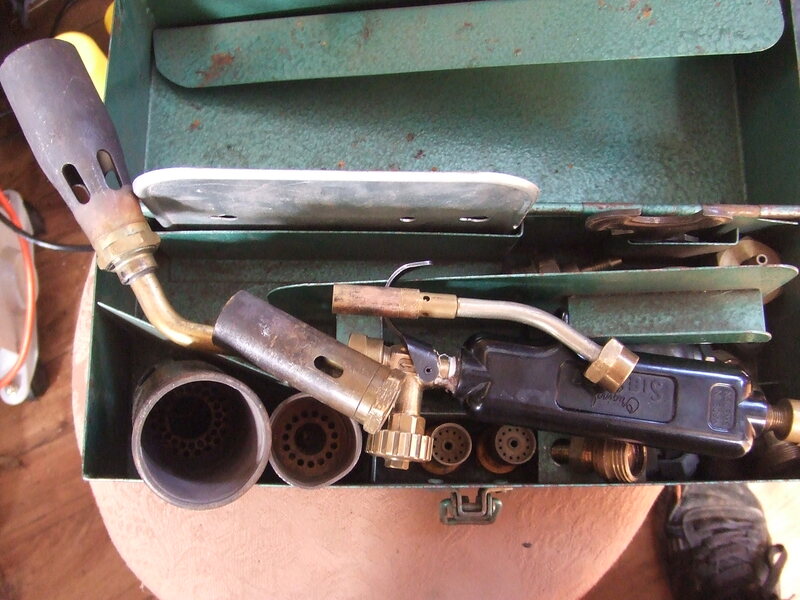 Not just for fume exhaust, but for the build up of water vapour sticking to your tools and causing rust issues. The pig nose pliers are a great example of looking around to see what can be utilised to make work for you. Have you seen the price of ‘proper’ ring forming pliers. You also get a bonus with these inasmuch as two sizes can be accommodated with this tool. I’m so glad you had some fun reading about my struggle with the links, they were swines, no pun intended, talking of pigs. Same as the sugar tongs. It’s a great feeling to be able to solve a challenge with ‘junk’ or tools that one would not associate with our discipline. I have to admit I spend far too long trailing the internet, looking at old tools and trying to imagine a different use for them. 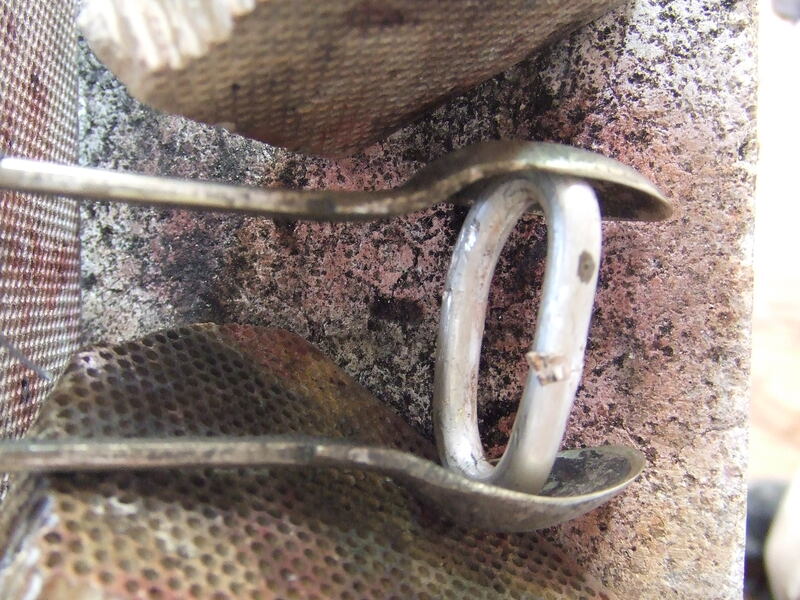 Thanks, Stu, for the tip about annealing aluminium – I did not know.